How do you describe business energetics? Business energetics is the burst of motivation that comes from opening a pack of colorful new pens. It’s the feeling you get when you sit down at your tastefully decorated workspace or read an inspiring quote. It’s all the little moments and small successes that drive you forward in business. It’s a mindset, a lifestyle, and the only way possible to be successful working from home. You may be incredible at your craft, have a gorgeous website and killer sales process, but still fail in business. All because of that fluid, intangible flow of energy called business energetics. This is something they never teach you in business school, but once you learn to intentionally incorporate business energetics into your average work day, the world is yours for the taking! Creating and maintaining that coveted flow depends on five key elements- environment, mindset, routine/rituals, education, and community. The environment where you spend your work day HEAVILY influences your creativity and productivity. Working from home is an acquired skill and being able to physically step into your very own productive space is an essential step to mastering it. Working from the couch every day is not going to cut it if you’re serious about being successful in your business! Create a space that feels authentic to you. One person might work best in a minimalist environment with a clean, modern desk setup, carefully organized pens and papers, and simple lighting. Other people feel creatively supported surrounded by succulents and water color paintings. Equip yourself with all the tools necessary to sit down/stand at your desk and get excited to start your day! Equally as important to developing business energetics habits, your mindset is a critical part of business success. Do you actually believe you can be successful? Are you holding yourself back with limiting beliefs like, “I’m not very creative. I’m lazy. Starting a business is too much work.” If you consistently believe the lies that your ego is telling you, you will always be stuck in your current place. Fear and self-doubt are the root of procrastination, staying stagnant, and feeling lost. Business energetics practices are a great way to let go of that fear and gain confidence in your abilities. Examples of these are affirmations, writing to your intuition, weekly reflection, and comfort zone challenges. For someone who works from home, routines/rituals are EVERYTHING. Starting and ending your day with a routine that nourishes your mind, body, and spirit signals to that elusive flow when it’s time to start and stop. Ever wake up feeling scattered and confused about what to begin working on? Ever struggle to calm your mind when bed time rolls around? Morning and evening routines are a total game-changer to take control of your thoughts and create intention for your day. Take time every morning to get to know yourself better. Meditate, journal, do some light stretches, read a chapter of an uplifting book, write down three things you’re grateful for. Set an intention for your day. When you finally sit down at your desk, you will feel liberated from those racing thoughts and confident that you can take on whatever comes your way. Night time routines may include a reading, bath time, journaling, reflection, and preparing for the following day. Your body will become familiar with this routine and signal to your mind that it’s time to put the stress of the day aside and sleep through the night. The last essential aspect of business energetics is education. And no, this doesn’t mean sitting in a classroom. Educational tools such as podcasts, Audible, books, and articles are great to give you that boost of inspiration and motivation when you’re feeling stuck in your day. Unsure about the marketing direction to take for your brand? Listen to a marketing podcast. Is your creativity on vacation for the week? Listen to/read a book about creativity. Feeling suffocated by the clutter in your home and workspace? Read an article about minimalism. Learn to be really intentional about what you need and where to find it. If you struggle seeing the light at the end of the entrepreneurial tunnel, there are plenty of podcast interviews with successful business owners that felt the exact same way in the beginning! There are so many resources available to you, take advantage of all the knowledge and inspiration at your fingertips. It can get VERY lonely when you work by yourself. There are no co-workers to swap gossip with, trade weekend stories, and show baby pictures. It’s just you, your laptop, and maybe a cat or a husband thrown in there. That’s why it is SO important to build conscious community for yourself both offline and online. Facebook groups are a great way to digitally surround yourself with like-minded individuals during the day. At night and on the weekends, make sure you get out of the house and invest deeper into the relationships that matter, meet new people, and participate in the community. The business energetics behind community is unlike any of the previous four elements. Connecting with other humans is what we were made to do. To inspire and be inspired. To hold space for one another and love because we can. Don’t get so bogged down in the hustle that you forget to be social. When we are nourished in this aspect of our lives, it is incredible how it can affect everything else, including our business. 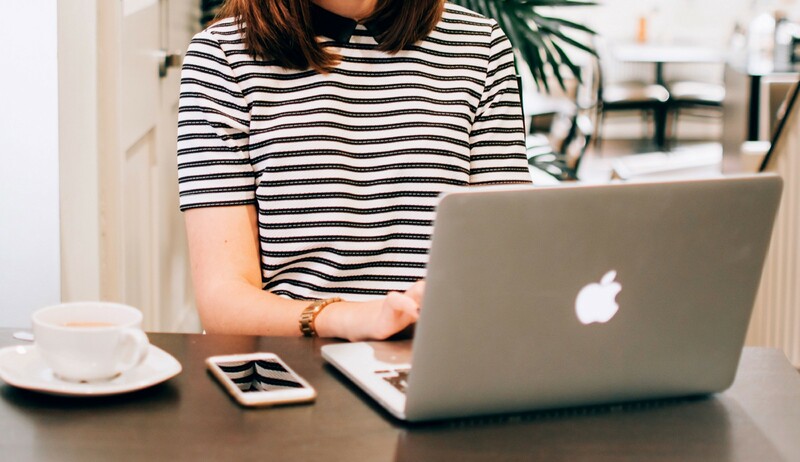 Being a female solopreneur isn’t the easiest job in the world. It can be exhilarating, deeply fulfilling, and provide a lot of creative freedom, but it is certainly not easy! It truly is the little things in business that keep us going when times are tough. Buy yourself some flowers for your desk, listen to a podcast on dealing with stress, or relax into a luxurious bath. All of these things keep you sane and motivated towards your biggest dreams!